Appalachian State University will present the Workman Distinguished Lecture on Tuesday, April 16. 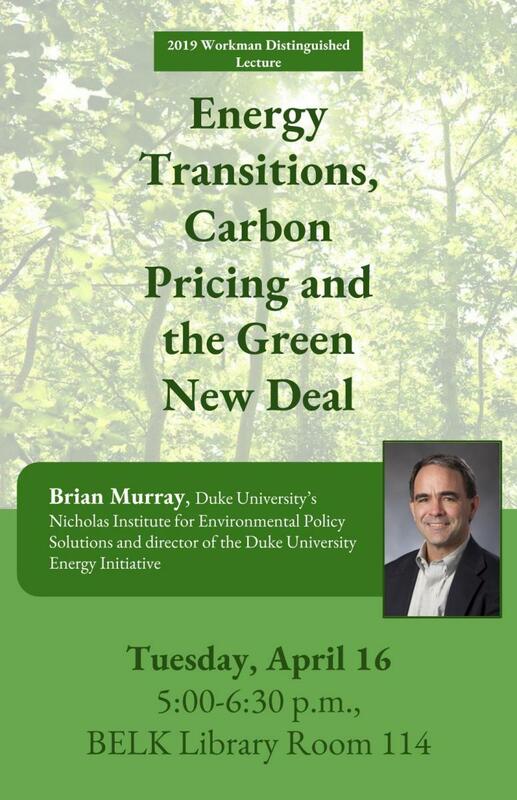 The 2019 event will feature Dr. Brian Murray, director of the Duke University Energy Initiative, who will speak on Energy Transitions, Carbon Pricing and the Green New Deal. Sponsored by the Department of Economics in the Walker College of Business, the event is free and open to the public. Questions? contact John Whitehead, whiteheadjc@appstate.edu.